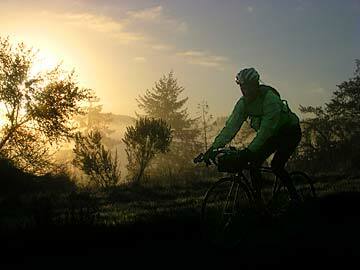 As the sun rose higher the whole countryside seemed to steam. 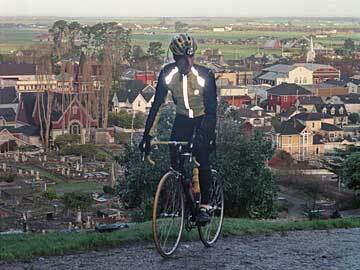 We felt very privileged to be out greeting the day in such scenic beauty. 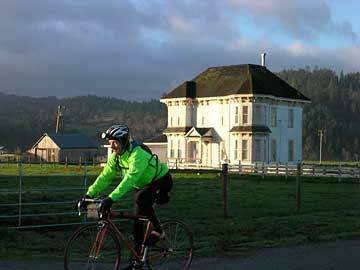 On the way to Ferndale the road passed through dairy farmland with lovely Victorian farmhouses. 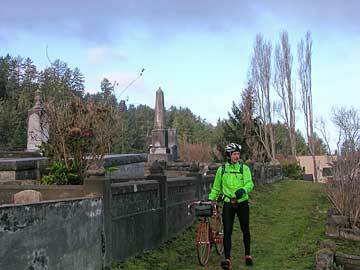 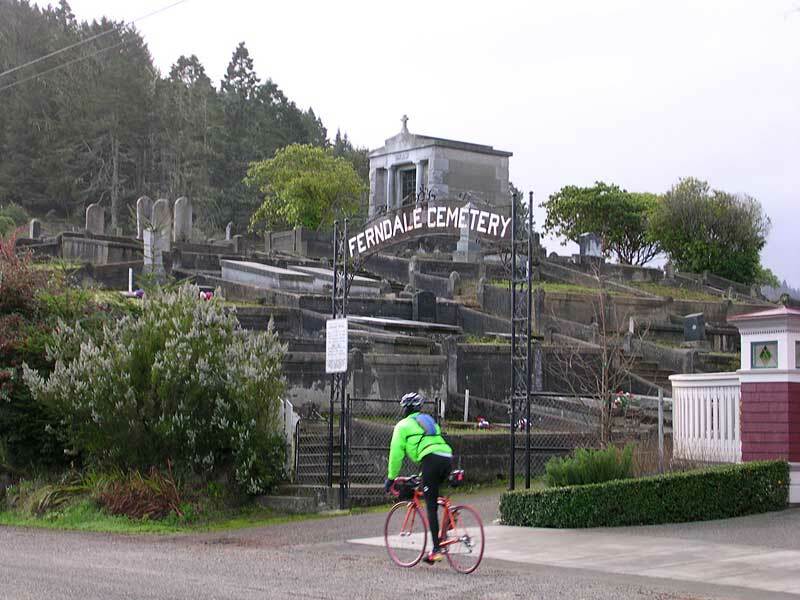 Just after entering Ferndale we came upon the Ferndale Cemetery. We decided to look in on it. 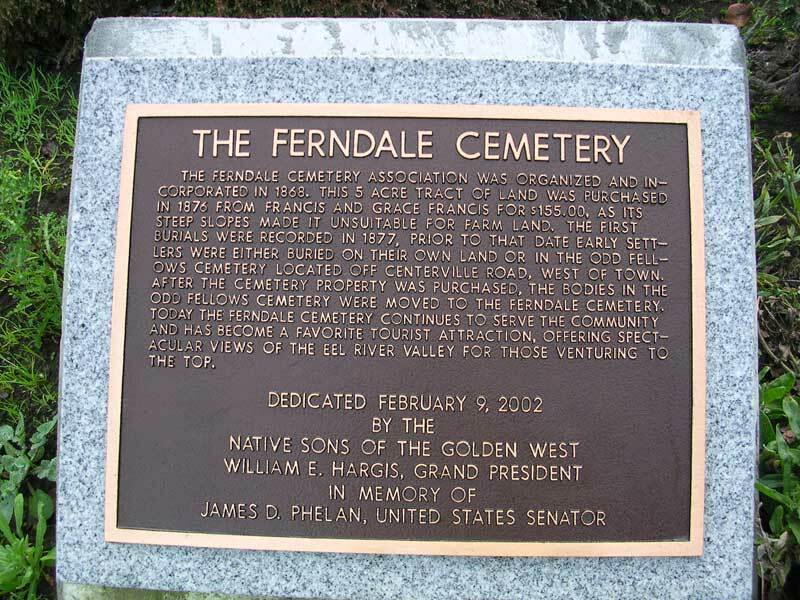 Years ago when I visited Ferndale in the company of my parents I also checked out this cemetery and recall finding it interesting. For those who want to read up on the place. Quite a built up place. 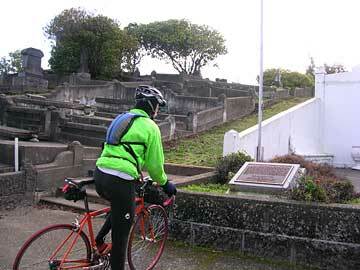 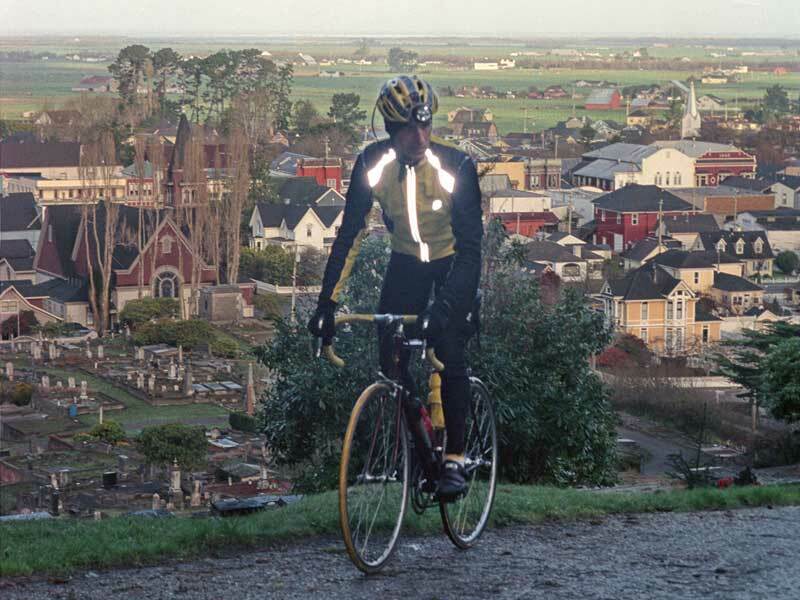 The cemetery sprawls up the ridge looking over the town and has a road that winds up to the top. 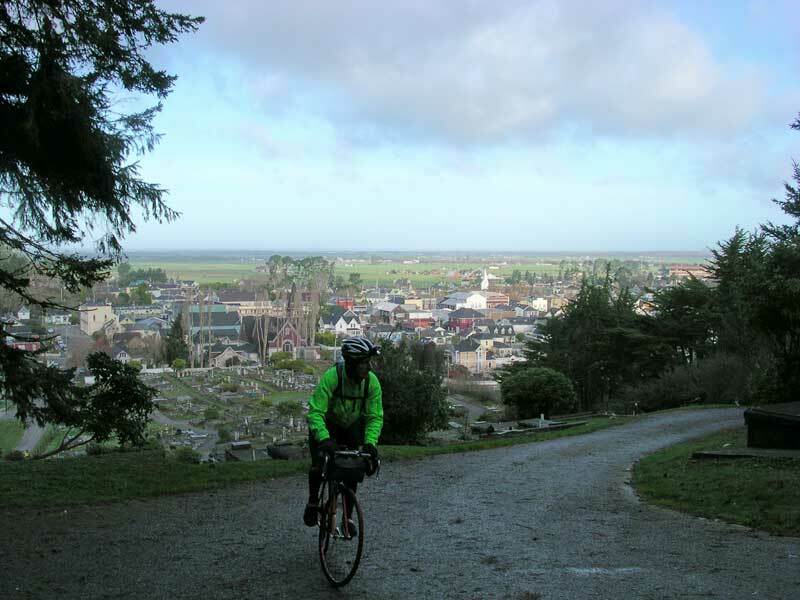 Yeah, it was worthwhile to ride up for the view.